Archae have to be keept at the right temperature, at about 37°C. In temper and cold climate this gets difficult especially with small scale digesters. There are two options available: heating and / or insulation. Placing the digester inside a compost keeps the digester warm. This method is also called the Jean Pain method or Jean Pain composting. The digester is placed inside a compost. The thermal processes within the compost keep the digester up on temperatuere. The digester needs its food in a mixture with water in a ratio 1:1. The water could or even should be hot water in order to keep the digester on temperature. In order to have a high heat transfer onto the digester coils can run through it. Through those pipes how water gets pumped. It is basically a heat exchanger. 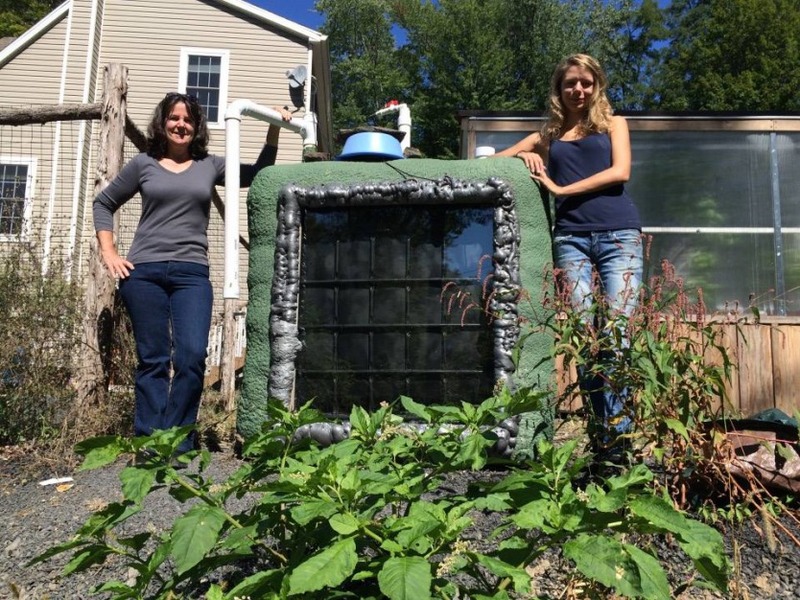 Solar C³ITIES showd in 2015 that it is possible to have a spray foamed IBC opened with a sun facing window. 1. The window lets the light pass like in a green house. It then hits the thermal mass, the digester, and heats it up. As the window is also a inuslation, if u double or tripple glass window ussed, there is more heat gain than loss. Solar vaccum tubes, or in generall thermal solar energie, could be used to transfer heat into the digester. Inside the digester a heat exchanger is placed, making it possible to heat the digester with former solar heated water.